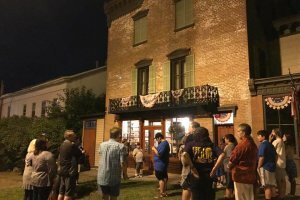 Meet at the Alling Coverlet Museum, 122 William St. Take a stroll through the Village and hear the haunting history of Palmyra, then make your way to the Palmyra Historical Museum and Phelps General Store and watch for the spirits of the museums. Bring a flashlight. Groups welcome.